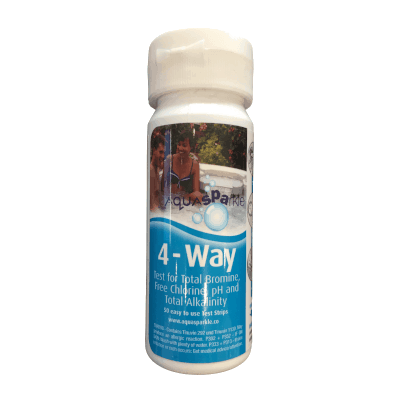 AquaSparkle 4-Way test strips provide a quick and easy way to test your hot tub water. 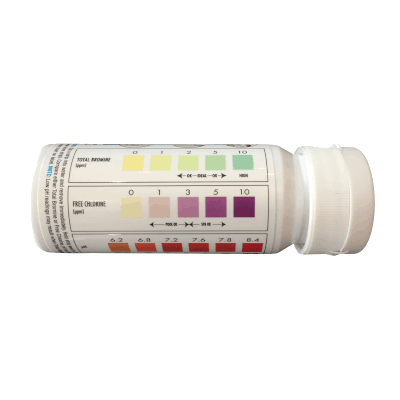 They offer tests for free chlorine, bromine, pH and total alkalinity. Simply dip the strip in the water and remove immediately. Hold horizontally for 15 seconds (do not shake excess water from strip), then compare the colour pads with the chart on the test strip bottle.